In the process of being set free, doubt is extremely important. This doubt has nothing to do with God, or the doubt of unbelief in Him. Once doubt of a certain experience comes into the mind of the freedom seeker, the victory lies in admitting to the possibility of personal deception. Sometimes the deception is exposed suddenly while other times the process is gradual and requires diligence and patience. Once the acknowledgement of deception has occurred, the next step is to face the truth, own the truth, and be prepared to watch the father of lies walk away from you by the power of the weapon of truth. Jesus Christ is the truth. Once the freedom seeker fully accepts truth, he or she is worshipping the Lord in spirit and in truth. If you want our help, contact RESCUE and ask for Pam at 518-477-5759. Strong Delusion? NO ONE IS EXEMPT! Some think that because they never attended an institutional church, they are exempt from deception. Recently I made a presentation entitled “Satan’s Greatest Deceptions” with some Hebrew Israelites in attendance. Among them were those who had not attended the IC as long as 2 decades, while others had never attended any church. Toward the end of my teaching, I stated that ALL of the elect of God in our generation have succumbed to satanic deception, more or less, in one way or the other. The response of protest was so strong, that I was compelled to cease to continue and I turned off the tape. Yet I stand firm in my warning to Hebrew Israelites and to ALL other religious cults. Certainly it is clear that Satan has had a seat in the Institutional Church for some time. He gained it with the first IC, under the rulership of the Emperor Constantine, he had no control over the Protestant Reformation, but over a few hundred years, the enemy has infiltrated every one of Her many branches. As I have studied the practices and beliefs of Hebrew Israelites, it is clear to me that Satan didn’t just infiltrate it. 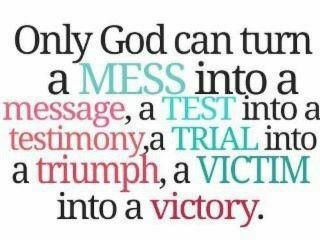 He is the author and finisher of it. The truth of the matter is that in this lukewarm, spiritually blind Laodicean age, God has already released strong delusion and no one or group is exempt. There are no exceptions because God is the one who has given Satan the opportunity to deceive ALL, including the elect. Isn’t it biblically clear that throughout the ages, it is the way of the Almighty to use this planet as a battleground and a training school for the elect? If we who will reign with Jesus Christ of Nazareth and share in His judgment of angels, doesn’t it naturally and spiritually follow that we ourselves must be tried in the fires of refinement? The Lord asks all Laodiceans to come and buy gold that has been tried in the fire, so that our spiritual blindness will be removed and we will be able to see clearly. God uses the enemy to train us how to overcome sin. Once those lessons are learned, then we enter the spiritual boxing ring of the religious spirit that is assigned to deceive us and keep us deceived. In the training process, we come to know Satan’s ways and his TRUE agenda. Without knowing what the enemy is REALLY after, how can our victory over him be complete? As Satan tried to sift Peter as wheat, he will also try to sift every one of us to see if we are worth our salt. A part of that sifting is to be deceived, yet rise out of deception to truth. The only One exempt from deception is God Almighty. 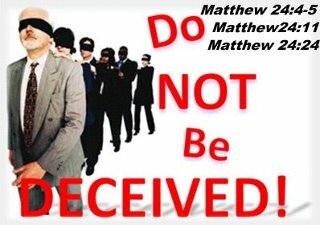 So if you are among those who believe that you have not been deceived, then you are deceived already. Some of you will prevail to victory, while those who are proud in their beliefs and their practices will be deluded beyond repair. Can You Find Mr. Right in Church? Thirty eight years of my life have been filled with signs to “wonder” about, several of them occurring in dreams. Before I was saved, I was demonized by a spirit of divination. I used to dream as many as 10 dreams a night, remembering MOST of them. Several dreams contained predictions that actually came to pass. When I went into ministry in 1981, I had a loose-leaf “dream book” where I had journaled about 3,000 dreams. I’ll never forget the day that the Lord asked me to throw out the dream journal because “I was fit to be tied!”. 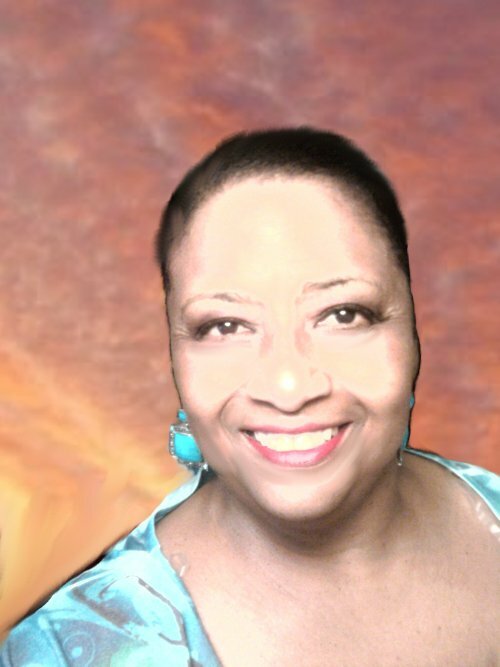 I complained, “Lord, I have been maintaining this journal for years because I plan to write a book about dreams.” He responded: “Pam, you have some dreams that I sent to you in your journal, but most of your dreams are from the devil. Throw it away. I’ll give you other books to write.” I reluctantly put the dream book in an outside garbage and went back 3 times to retrieve it, asking myself “was that REALLY God?” Finally, I let the garbage truck take it. Thank God, I finally obeyed. I don’t blame the people the enemy sent into my life to derail me. They had no idea what was going on. They were just pawns in a demonic chess game invisibly and secretly played out with my ministerial life as the chessboard. So I take full responsibility for being duped by the fake Jesus because clearly, the Lord never assigned me to work in a substance abuse prison ministry. I DID NOT TRY THE SPIRITS TO SEE IF THEY WERE OF GOD. Due to my impatience to “get things rolling” in what I believed to be the Lord’s work, I actually put myself into the devil’s hands because it suited my own purposes to believe a lie. I STRONGLY DESIRED THE WORK TO BEGIN,NOT REALIZING THAT I WAS BEING REFINED AND CLEANSED THROUGH WHAT I ENDURED AND SUFFERED. One day I looked up and the zeal for prison ministry and substance abuse counseling was completely gone from my spirit. Vanished. With the zeal gone, I immediately withdrew from prison ministry. Shortly thereafter, my spiritual eyes were opened to the whole truth. I had been hooked by an intricate, demonic setup. I now know the truth, and the truth has set me free to complete what God has REALLY chosen me to do. So what is my divine assignment? My assignment is to train ministers for the return of the Lord. So if you have been given a specific blueprint about your spiritual journey in the Lord–if you have been shown signs of who you will marry and such, if your plan has lots of details with confirming signs, you’d better stop, look, listen and STAND STILL.